Montecasino’s award-winning and world-class Teatro (https://www.tsogosun.com/montecasino/entertainment/theatre/teatro) has a powerful and ‘not to be missed’ line-up of shows to please every guest, young and young-at-heart, through to the end of the year. 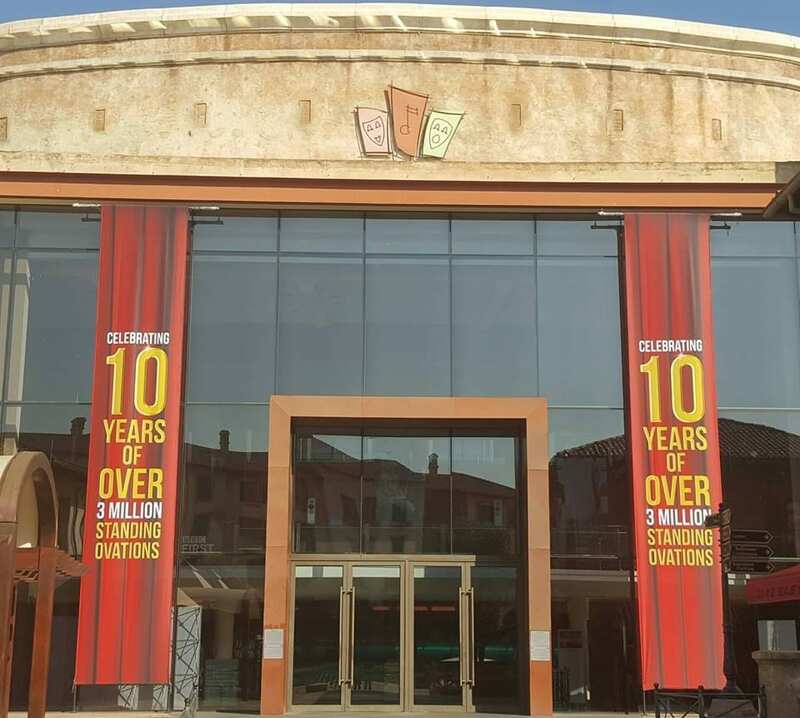 The Teatro, which has won the Best of Joburg Best Theatre award eight times consecutively since 2010, is renowned for impressive top productions that started with the iconic Lion King to mark the opening in 2007. The winter holidays will feature Cartoon Network Live (https://www.tsogosun.com/montecasino/whatson/teatro/cartoon-network-live) from 3 to 8 July, bringing the exciting world of Ben 10, Gumball, Adventure Time, The Powerpuff Girls and more to the stage in a fun and interactive show. Always a hit, a favourite on the South African music scene, the Parlotones (https://www.tsogosun.com/montecasino/whatson/teatro/the-parlotones-twentieth-anniversary-tour) will perform on 20 July, and five of the funniest South Africans – John Vlismas, Joey Rasdien, Stuart Taylor, Nik Rabinowitz, and Jason Goliath – will take to the stage in The Big 5 Comedy Show (https://www.tsogosun.com/montecasino/whatson/teatro/the-big-5-comedy-show-2018) on 27 and 28 July; fierce, funny and fabulous Bianca del Rio (https://www.tsogosun.com/montecasino/whatson/teatro/blame-it-on-bianca-del-rio) will deliver a no-holds barred show on 11 August; and singing sensation Jonathan Roxmouth (https://www.tsogosun.com/montecasino/whatson/teatro/jonathan-roxmouth-the-musicals-in-concert-2018) will delight his audiences as always from 17 to 19 August. Hitting the Teatro stage with an almighty roar on 29 August is Tap Dogs (https://www.tsogosun.com/montecasino/whatson/teatro/tap-dogs), Australia’s global high-energy dance sensation that has appeared in over 330 cities to 12 million people since 1995, and has been described as ‘part theatre, part dance, part rock concert, and part construction site’. It runs until 16 September. The hilarious and renowned British funnyman Jimmy Carr (https://www.tsogosun.com/montecasino/whatson/teatro/jimmy-carr) is back on 21 and 22 September. The long-awaited production based on a beloved book by Roald Dahl, Matilda The Musical (https://www.tsogosun.com/montecasino/whatson/teatro/matilda-the-musical), will enchant Teatro audiences from 17 October to 11 December. Now in its seventh year in London and winner of over 85 international awards, it’s the delightful story of a special little girl with a vivid imagination and a sharp mind who changes her own destiny. For further information, visit www.montecasino.co.za. Be sure to join us on Facebook at www.facebook.com/montecasino or follow us on Twitter at @MontecasinoZA.